First Touch is a DJ Team and Music Production Group, best known for their Boogie and Disco Productions. These guys are influenced by HipHop, Soul and House Music. 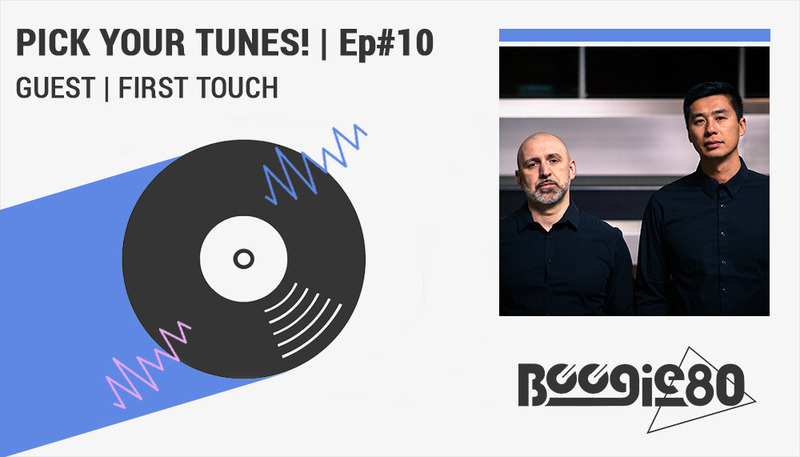 First Touch is one of Germany’s best-kept secrets when it comes to soulful Music. Ranging from Boogie, Disco, Modern Soul and Electronica, these folks have been quite active internationally instead of focusing on releases for the German market. This might be due to the fact that the group’s founders reside in two different cities – Mannheim and Berlin, or because such contemporary music scenes tend to expand globally instead of collapsing locally. Founded in the mid-2000s, the breakthrough has come about within the last two years with the release of the Knockout EP on Omega Supreme Records; broadcaster Boiler Room featured the track “Beweg Dein Körper” on multiple channels. At this juncture, First Touch was already experiencing a good deal of success and, as the group started making its mark by publishing new material characterized by its own original sounds, requests quadrupled overnight. Exactly the right thing to cruise around in the neighbourhood at night from the mood and pace.The song has something of a laid back vibe, but is somehow still driving forwards. The only thing missing is the right weather to ride with the windows down, you can only do this during the summer here in Western Europe. As soon as the first seconds of the song are playing, you can feel how everything relaxes. Very nice, harmonious production with a catchy hook. The voice fits perfectly to the song. You feel like you’re in a bubble and forget everything around you. 3. What’s your favorite tune for a romantic evening? We are big fans of slow jams. If you spend a nice cozy evening with your partner and this song is on the mood is set. From the production rather minmalistic and open to give the vocals room. The bassline is played so smoothly, done by a serious Pro! Mtume has more gems from this category. Maybe we should dare to do a production that goes in this direction, right? An absolute Synthfunk bomb! We listened to the entire LP over and over and played it in the club. There is no one sitting around there when the song is playing. In our opinion this is Electro Funk in perfection. Incredible tune that uniquely reproduces multiple moods within 5 minutes. Reminds us of the times when we started digging and sucking in the entire catalog of Cameo, plus the classic Group Home Sample, which puts you right back in the mid-90s. Most people speak lately about our original Album from 2009 that is now returning for the first time on Vinyl on Star Creature. Well, the story is short: there were labels reaching out over the years, but nobody delivered a result so we are even more happy that our timeless material finally receives an outlet. The overall quality got better as we got our hands again to mix down all tracks, besides this we added an unreleased Bonus track. We are even happy to dedicate this piece to our friend Freeze la Roc who passed away meanwhile, he was an original Boogaloo and Pop-Lockin Bboy of a kind. Never forget. Up next we have a couple of Remixes in the pipeline, for example a Jazzfunk Remix of Thomas Siffling´s – Flow. Through the Summer you will see some more unexpected projects come up, stay tuned and take it easy.